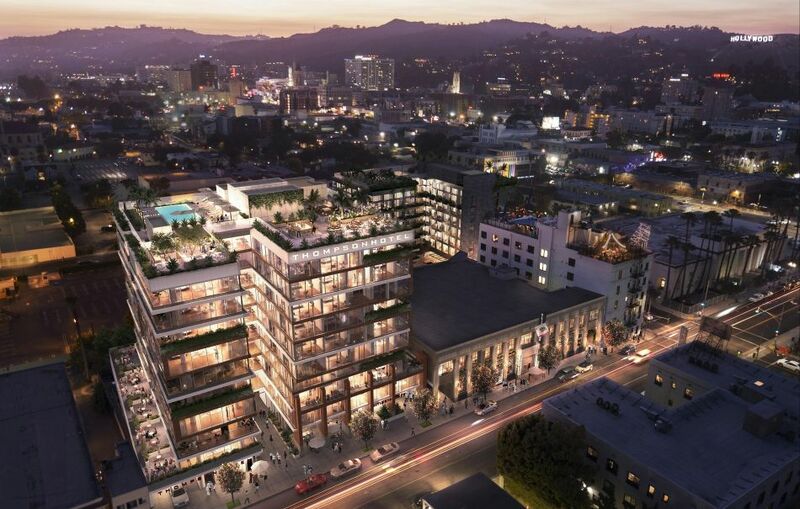 One year after clearing away a small commercial building at 1523 Wilcox Avenue, Los Angeles-based real estate developer Relevant Group has officially broken ground on Hollywood’s Thompson Hotel. RCVA is designing the mid-rise structure, which diverges sharply from earlier renderings by the Rockwell Group. Steinberg Architects is serving as the project’s executive architect, while interior design is being handled by Tara Bernerd & Partners.